Picket fencing is a traditional fence style and is made from high quality timber which features strong, horizontal back framing. We have both dip treated and pressure treated designs available and with a minimum 10 year anti rot guarantee, you can be sure they will lasts for many years. Delivered fully assembled, our 3ft and 4ft high panels mark the boundary of your property without obstructing your views, perfect for front gardens and for a cottage feel. Picket fence panels have an iconic, traditional style. Picket fences are perfect for front gardens and create a boundary without blocking any views. Our range of picket fencing is made from high quality timber to ensure durability. Fence panels are available with a rounded top or a flat top, and come in 3ft and 4ft heights. We stock both dip treated and pressure treated picket fencing, so you can choose the perfect option for your own garden. 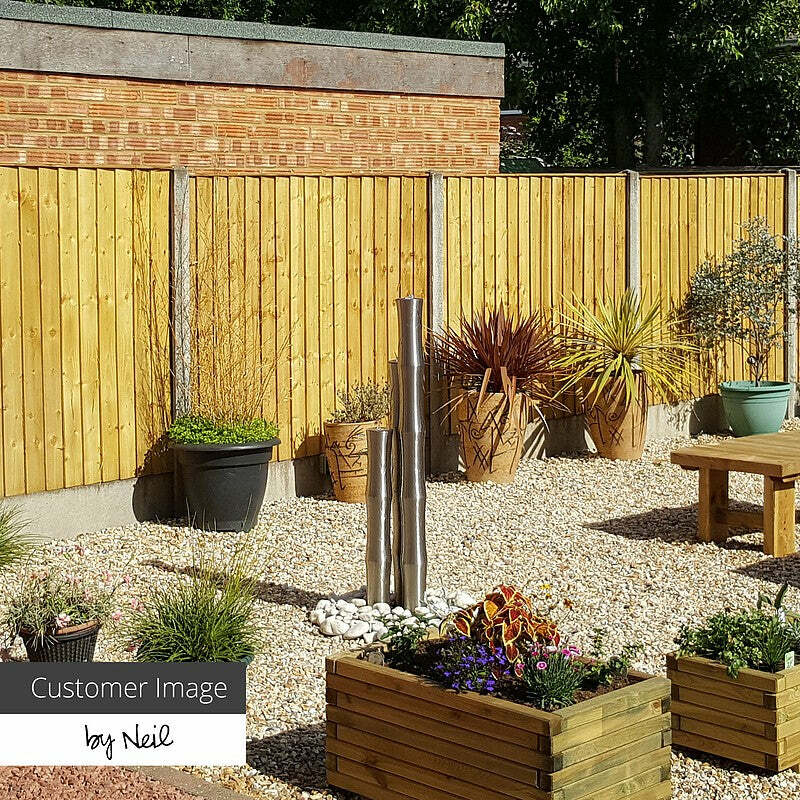 Our range of pressure treated picket fencing is perfect if you're looking for low maintenance garden fencing. Make sure your fencing's co-ordinated and matched with a picket gate and then sit back, relax, and enjoy your garden.